A stock, futures, and forex trading journal that works for you, not against you. 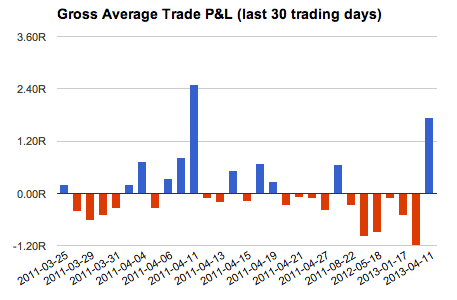 You've been trading a lot. But do you really know what's working? Execution is everything. Share your expertise with the trading community. To Analyze is to Know. Objectively analyzing your performance is the best way to improve your trading. 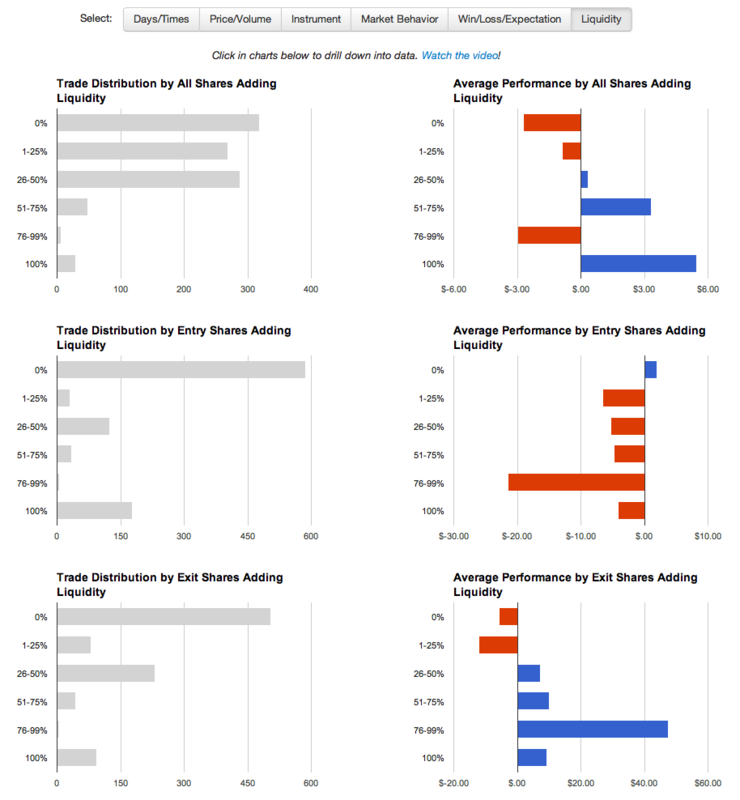 Tradervue ensures you're seeing everything. 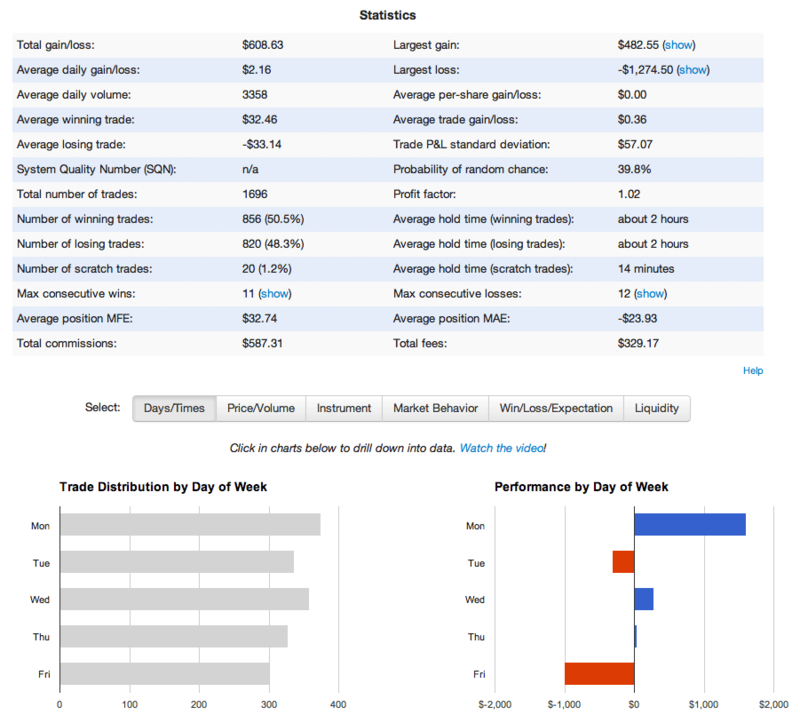 See recent performance at a glance, including daily and cumulative P&L, volume, and win %, to spot recent trends. And drill down into results by year, by month, and by day. Dig deep into your performance to really understand your trading. Calculate results based on symbol, price, volume, day/time, market movement, instrument behavior, and many more. 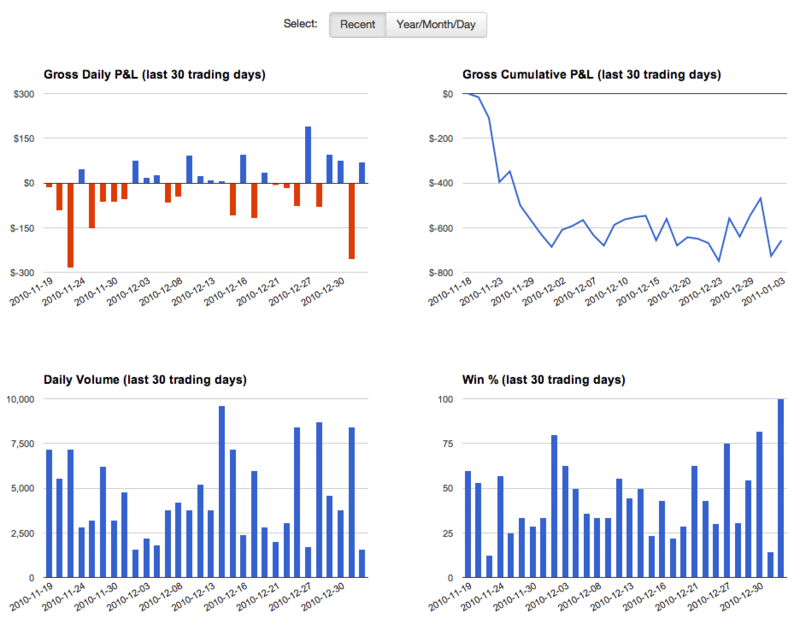 Compare winning days with losing days, longs vs. shorts, breakout vs. support trades (using tags), this month vs. last month, or choose any two sets of trades that you define. Use tags to label setups, observations, and other trade attributes, and then use the tag report to quickly see which are working the best and worst. 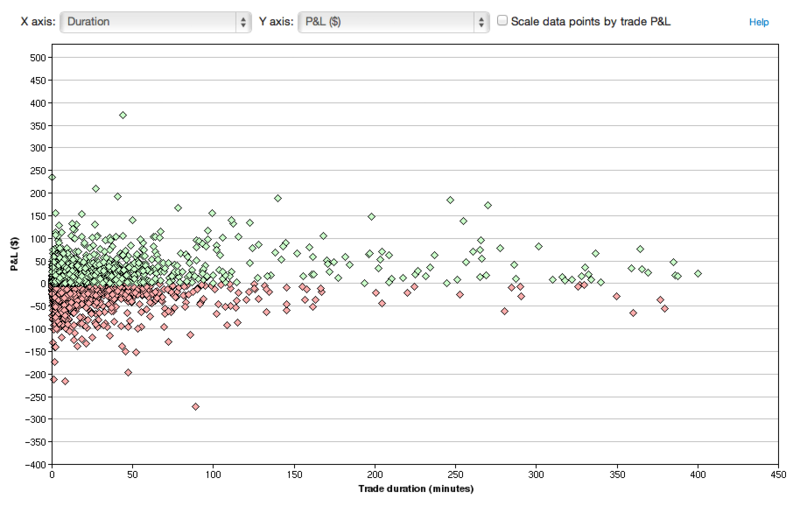 See your trades plotted in fine detail by the trade duration, day/time, P&L, volume, or many other measures. 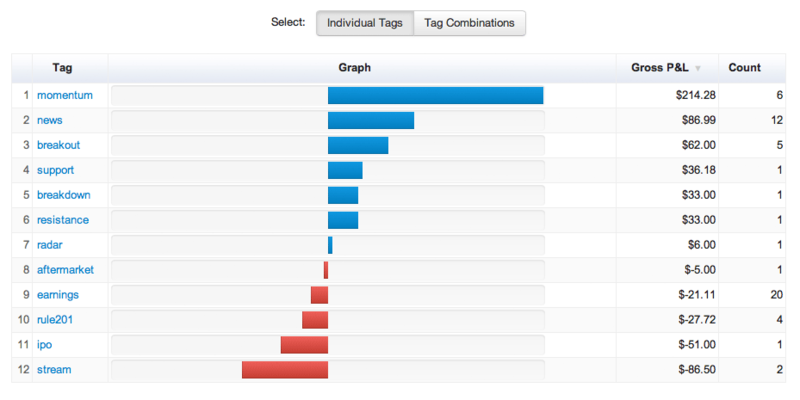 Choose the specific data to plot on each axis for hundreds of possible combinations. Run any reports for futures trades based on either return in USD, or in ticks - even if you're trading multiple instruments. 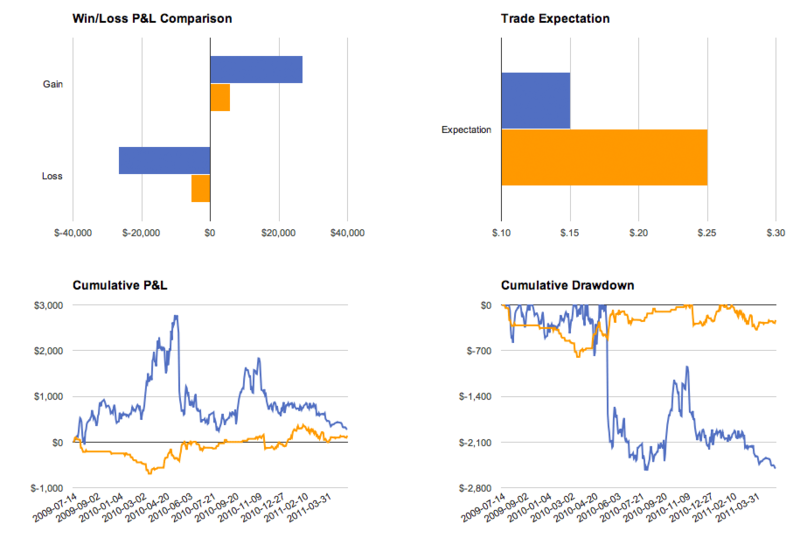 Analyze your trading performance relative to whether you're adding or removing liquidity, even broken up by entry and exit shares. Essential data for the active intraday equity trader.